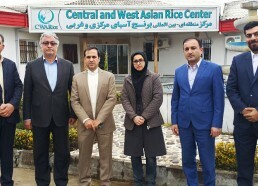 Rice Value Chain Project including Research, Education and Development subprojects provided and cosulted by CWARice is being implemented through FARAN LLC, an active private rice R&D company by support of the government of the Republic of Azerbaijan, Ministry of Agriculture. CWARice tries to make a strong linkage between public and private sectors of member countries to achieving goals towards rice sustainable development and food security in CWA region. 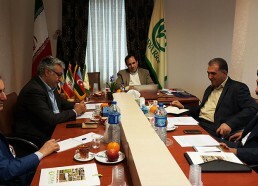 As well, aligning Rice Value Chain Project, CWARice provided valuable advice and assisted in establishing successfully a modern rice milling factory in Lankaran through Khosro Parviz Company (KHp Co.), an Iranian well-known modern rice machinery manufacturer. 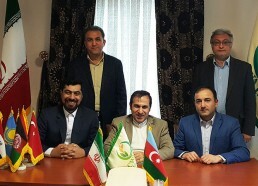 Due to successful conducting of 6th TMC meeting of CWARice on 8-10 Oct.,2019, Baku, Azerbaijan and long satisfying cooperation of FARAN Co. and Khosro Parviz Co. with each other by CWARice directing to develop rice production of Azerbaijan, these two companies signed a contract on “Rice Value Chain Project in Lankaran, VC/L-Lankaran-08 Sub-Project, the Republic of Azerbaijan “witnessed by CWARice on Monday 25 February 2019 at the office of CWARice head. This rice training and development project would be supervised by CWARice at the request of both parties.